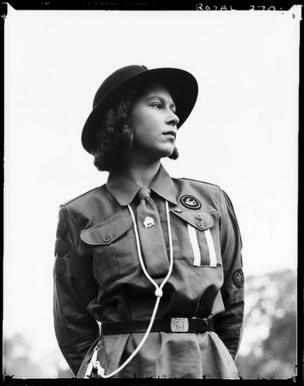 Rarely seen images of a young Queen Elizabeth by photographer Lisa Sheridan. Queen Elizabeth II becomes the longest-reigning monarch in British history on the evening of 9 September 2015. She is one of the most photographed people in the world. 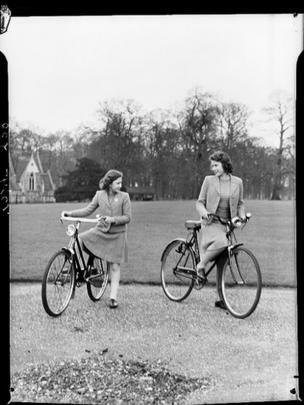 A little-known photographer, Lisa Sheridan, was among the first to capture the young Elizabeth in informal settings, here with her younger sister Margaret. 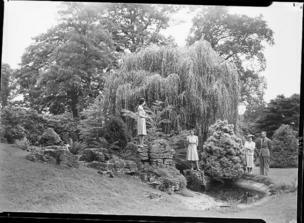 To mark the moment, a selection of rarely seen work by the photographer is being digitised and made available by Getty Images, which manages Sheridan's collection. 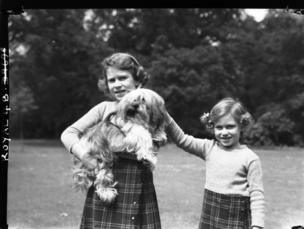 Some of the pictures show the Queen with her sister Margaret and other members of the Royal Family at a time in the 1930s, before the outbreak of World War Two. Sheridan worked with her husband Jimmy, and together they formed Studio Lisa, shooting pictures for a number of magazines. 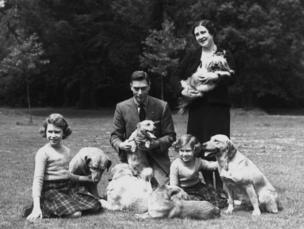 It was a photo shoot with the royal corgis that led to a chance to photograph the Duke and Duchess of York in the 1930s. 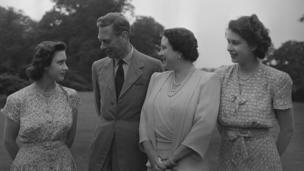 The relationship with the Royal Family grew and Studio Lisa was on hand to capture the future queen many times. 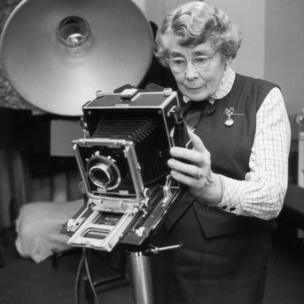 Most of the images were taken on a 5x4 Speed Graphic camera, or a half plate Linhof using film such as Kodak tri-X or HP3. 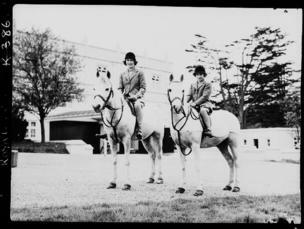 Some of the newly digitised images show the future Queen's love of animals. 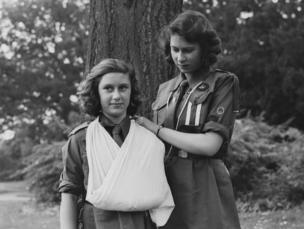 Here, Princess Elizabeth places Princess Margaret's arm in a sling at a meeting of the Girl Guides in Frogmore, Windsor, in 1942. 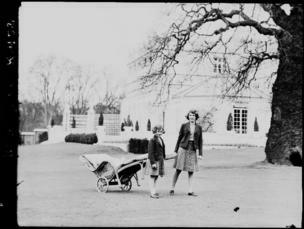 After the war, Studio Lisa recorded the Royal Family in the grounds of Windsor Castle, Berkshire. And again in this fun image. 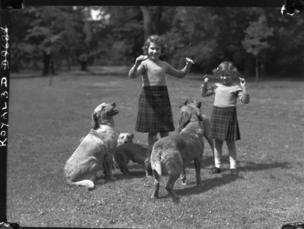 Sheridan was on hand to record another generation of the royal family. 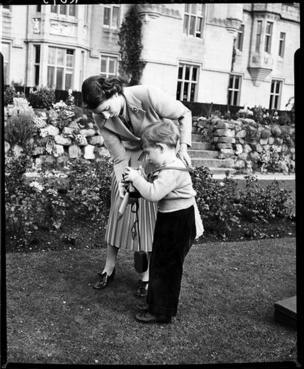 Here the Queen, a keen photographer, shows a young Prince Charles how to use a camera in 1952. 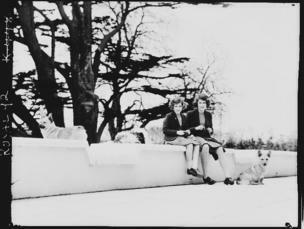 Lisa Sheridan continued to work into her late 60s and received royal commissions until her death in 1966, aged 72.